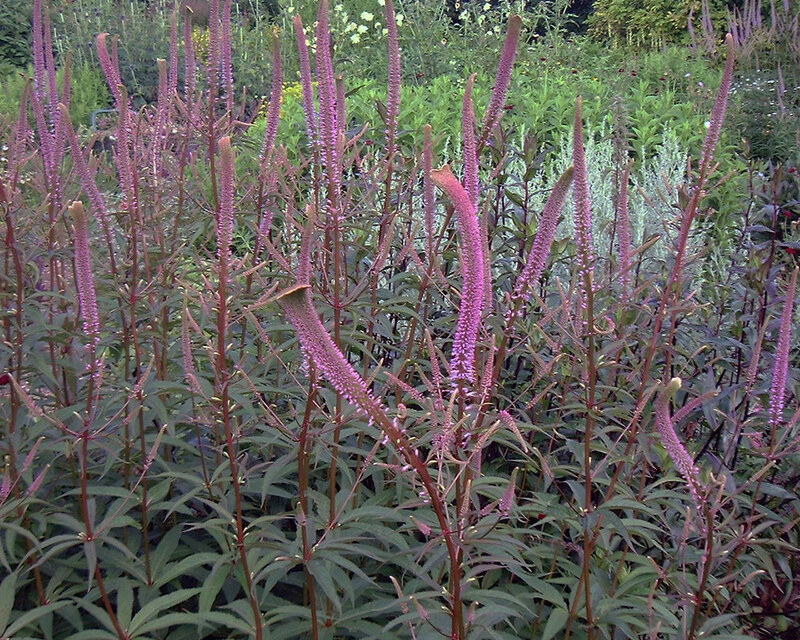 A charming, clump-forming perennial with upright stems of narrow, lilac-blue flower spikes which twist out at odd angles. The leaves are formed in whorls up the stem. Smaller, branching, lateral flower spikes also occur when in full bloom. Jul-Sep. H150cm S45cm.